Thomas deals with sensitive regulatory questions. His ambition is to develop workable solutions in complex cases that require commercial understanding, deep knowledge of regulatory law and experience in political and governmental issues. He has worked in the financial, energy, infrastructure and healthcare sectors for several years and has advised banks, national and international companies and public authorities. 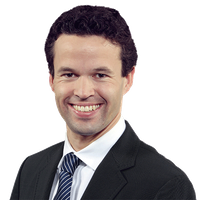 Thomas is a member of the Committee on "Compliance and Corporate Social Responsibility" of the German Bar Association.